The RL10 is a liquid-fuel cryogenic rocket engine used on the Centaur, S-IV, and Delta Cryogenic Second Stage upper stages. Built in the United States by Aerojet Rocketdyne (formerly by Pratt & Whitney Rocketdyne), the RL10 burns cryogenic liquid hydrogen and liquid oxygen propellants, with each engine producing 64.7 to 110 kN (14,545–24,729 lbf) of thrust in vacuum depending on the version in use. The RL10 was the first liquid hydrogen rocket engine to be built in the United States, and development of the engine by Marshall Space Flight Center and Pratt & Whitney began in the 1950s, with the first flight occurring in 1961. Several versions of the engine have been flown, with three, the RL10A-4-2, the RL10B-2, and the RL10C-1 still being produced and flown on the Atlas V and Delta IV. Performance values and dimensions are for RL10B-2. The engine produces a specific impulse (Isp) of 373 to 470 s (3.66–4.61 km/s) in a vacuum and has a mass ranging from 131 to 317 kg (289–699 lb) (depending on version). 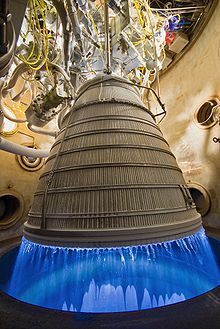 Six RL10A-3 engines were used in the S-IV second stage of the Saturn I rocket, one or two RL10 engines are used in the Centaur upper stages of Atlas and Titan rockets, and one RL10B-2 is used in the upper stage of Delta IV rockets. The RL10 was first tested on the ground in 1959, at Pratt & Whitney's Florida Research and Development Center in West Palm Beach, Florida. the first successful flight took place on November 27, 1963. For that launch, two RL10A-3 engines powered the Centaur upper stage of an Atlas launch vehicle. The launch was used to conduct a heavily instrumented performance and structural integrity test of the vehicle. The RL10 was designed for the USAF from the beginning as a throttleable motor for the Lunex lunar lander, finally putting this capability to use twenty years later in the DC-X VTOL vehicle. The RL10 has been upgraded over the years. One current model, the RL10B-2, powers the Delta IV second stage. It has been significantly modified from the original RL10 to improve performance. Some of the enhancements include an extendable nozzle and electro-mechanical gimbaling for reduced weight and increased reliability. Current specific impulse is 464 seconds (4.55 km/s). A flaw in the brazing of an RL10B-2 combustion chamber was identified as the cause of failure for the May 4, 1999, Delta III launch carrying the Orion-3 communications satellite. Aerojet Rocketdyne is working toward incorporating additive manufacturing into the RL10 construction process. The company conducted full-scale, hot-fire tests on an engine with a printed core main injector in March 2016, and on an engine with a printed thrust chamber assembly in April 2017. Four modified RL10A-5 engines, all of them with the ability to be throttled, were used in the McDonnell Douglas DC-X. The DIRECT version 3.0 proposal to replace Ares I and Ares V with a family of rockets sharing a common core stage, recommends the RL10 for the second stage of their proposed J-246 and J-247 launch vehicles. Up to seven RL10 engines would be used in the proposed Jupiter Upper Stage, serving an equivalent role to the Ares V Earth Departure Stage. The Common Extensible Cryogenic Engine (CECE) is a testbed to develop RL10 engines that throttle well. NASA contracted with Pratt & Whitney Rocketdyne to develop the CECE demonstrator engine. In 2007 its operability (with some "chugging") was demonstrated at 11:1 throttle ratios. In 2009 NASA reported successfully throttling from 104 percent thrust to eight percent thrust, a record for an engine of this type. Chugging was eliminated by injector and propellant feed system modifications that control the pressure, temperature and flow of propellants. In 2010, the throttling range was expanded further to a 17.6:1 ratio, throttling from 104% to 5.9% power. 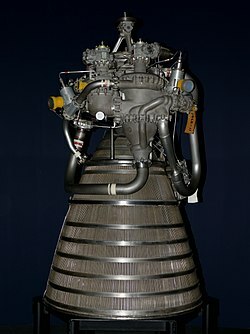 As of 2009[update], an enhanced version of the RL10 rocket engine was proposed to power the upper-stage versions of the Advanced Cryogenic Evolved Stage (ACES), a long-duration, low-boiloff extension of existing ULA Centaur and Delta Cryogenic Second Stage (DCSS) technology for the Vulcan launch vehicle. Long-duration ACES technology is explicitly designed to support geosynchronous, cislunar, and interplanetary missions as well as provide in-space propellant depots in LEO or at L2 that could be used as way-stations for other rockets to stop and refuel on the way to beyond-LEO or interplanetary missions. Additional missions could include the provision of the high-energy technical capacity for the cleanup of space debris. In April 2016 it was reported NASA has chosen to use a design based on four RL10 engines for the Exploration Upper Stage to be used beginning with the crewed EM-2 mission of the Space Launch System. In October 2016 NASA confirmed these reports when it announced that the Exploration Upper Stage would utilize a new variant of the engine identified as the RL10C-3. In April 2018, Orbital ATK announced it would use two RL10C-5-1 engines for their OmegA to power the upper stage. Blue Origin's BE-3U and Airbus Safran's Vinci were also considered before Aerojet Rocketdyne's engine was selected. On May 11, 2018 United Launch Alliance (ULA) announced that Aerojet Rocketdyne would be strategic partner with their RL10C-X upper stage engine for ULA’s next-generation Vulcan Centaur rocket following a competitive procurement process. 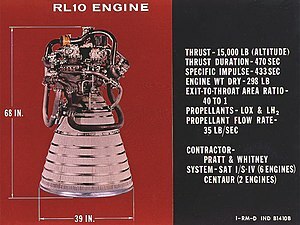 The other current model, the RL10A-4-2, is the engine used on Centaur upper stage for Atlas V.
In 2012 NASA joined with the US Air Force (USAF) to study next-generation upper stage propulsion, formalizing the agencies joint interests in a new upper stage engine to replace the Aerojet Rocketdyne RL10. "We know the list price on an RL10. If you look at cost over time, a very large portion of the unit cost of the EELVs is attributable to the propulsion systems, and the RL10 is a very old engine, and there's a lot of craftwork associated with its manufacture. ... That's what this study will figure out, is it worthwhile to build an RL10 replacement?" From the study, NASA hopes to find a less expensive RL10-class engine for a third stage of the Space Launch System (SLS). USAF hopes to replace the Rocketdyne RL10 engines used on the upper stage of both the Lockheed Martin Atlas V and the Boeing Delta IV, known as Evolved Expendable Launch Vehicles (EELV), that are the primary methods of putting US government satellites into space. This relates to the requirements study of the Affordable Upper Stage Engine Program (AUSEP) liquid rocket engine for use on upper stages of medium- and heavy-class launch vehicles, including the Evolved Expendable Launch Vehicle (EELV) family of launch vehicles. An RL10 is on display in the Aerospace Engineering Department, Davis Hall at Auburn University. An RL10A-4 is on display at the Science Museum in London, UK. ^ a b Wade, Mark (November 17, 2011). "RL-10B-2". Encyclopedia Astronautica. Archived from the original on February 4, 2012. Retrieved February 27, 2012. ^ "Centaur". Gunter's Space Pages. ^ Sutton, George (2005). History of liquid propellant rocket engines. American Institute of Aeronautics and Astronautics. ISBN 1-56347-649-5. ^ "Renowned Rocket Engine Celebrates 40 Years of Flight". Pratt & Whitney. November 24, 2003. Archived from the original on June 14, 2011. ^ "Atlas Centaur 2". National Space Science Data Center. NASA. ^ Wade, Mark. "Encyclopedia Astronautica—Lunex Project page". Encyclopedia Astronautica. Archived from the original on August 31, 2006. ^ "Delta 269 (Delta III) Investigation Report" (PDF). Boeing. August 16, 2000. MDC 99H0047A. Archived from the original (PDF) on June 16, 2001. ^ "Aerojet Rocketdyne Successfully Tests Complex 3-D Printed Injector in World's Most Reliable Upper Stage Rocket Engine" (Press release). Aerojet Rocketdyne. March 7, 2016. Retrieved April 20, 2017. ^ "Aerojet Rocketdyne Achieves 3-D Printing Milestone with Successful Testing of Full-Scale RL10 Copper Thrust Chamber Assembly" (Press release). Aerojet Rocketdyne. April 3, 2017. Retrieved April 11, 2017. ^ Wade, Mark. "DCX". Encyclopedia Astronautica. Archived from the original on December 28, 2012. Retrieved January 4, 2013. ^ "Jupiter Launch Vehicle – Technical Performance Summaries". Archived from the original on June 8, 2009. Retrieved July 18, 2009. ^ "Common Extensible Cryogenic Engine (CECE)". United Technologies Corporation. Archived from the original on March 4, 2012. ^ "Throttling Back to the Moon". NASA. July 16, 2007. Archived from the original on April 2, 2010. ^ "NASA Tests Engine Technology for Landing Astronauts on the Moon". NASA. January 14, 2009. ^ Giuliano, Victor (July 25, 2010). "CECE: Expanding the Envelope of Deep Throttling Technology in Liquid Oxygen/Liquid Hydrogen Rocket Engines for NASA Exploration Missions" (PDF). NASA Technical Reports Server. ^ Kutter, Bernard F.; Zegler, Frank; Barr, Jon; Bulk, Tim; Pitchford, Brian (2009). "Robust Lunar Exploration Using an Efficient Lunar Lander Derived from Existing Upper Stages" (PDF). AIAA. ^ Bergin, Chris (April 7, 2016). "MSFC propose Aerojet Rocketdyne supply EUS engines". NASASpaceFlight.com. Retrieved April 8, 2016. ^ "Proven Engine Packs Big, In-Space Punch for NASA's SLS Rocket". NASA. October 21, 2016. Retrieved November 22, 2017. ^ "RL-10 Selected for OmegA Rocket". Aerojet Rocketdyne. April 16, 2018. Retrieved May 14, 2018. ^ Wade, Mark (November 17, 2011). "RL-10A-1". Encyclopedia Astronautica. Archived from the original on November 15, 2011. Retrieved February 27, 2012. ^ a b Bilstein, Roger E. (1996). "Unconventional Cryogenics: RL-10 and J-2". Stages to Saturn; A Technological History of the Apollo/Saturn Launch Vehicles. Washington, D.C.: NASA History Office. Retrieved December 2, 2011. ^ "Atlas Centaur". Gunter's Space Page. Retrieved February 29, 2012. ^ Wade, Mark (November 17, 2011). "RL-10A-3". Encyclopedia Astronautica. Archived from the original on December 6, 2011. Retrieved February 27, 2012. ^ Wade, Mark (November 17, 2011). "RL-10A-4". Encyclopedia Astronautica. Archived from the original on November 15, 2011. Retrieved February 27, 2012. ^ Wade, Mark (November 17, 2011). "RL-10A-4-1". Encyclopedia Astronautica. Archived from the original on November 17, 2011. Retrieved February 27, 2012. ^ Wade, Mark (November 17, 2011). "RL-10A-4-2". Encyclopedia Astronautica. Archived from the original on January 30, 2012. Retrieved February 27, 2012. ^ a b "RL10 Engine". Aerojet Rocketdyne. ^ Wade, Mark (November 17, 2011). "RL-10A-5". Encyclopedia Astronautica. Archived from the original on November 15, 2011. Retrieved February 27, 2012. ^ "Delta IV Launch Services User's Guide, June 2013" (PDF). ULA Launch. Retrieved 15 March 2018. ^ Wade, Mark (November 17, 2011). "RL-10B-X". Encyclopedia Astronautica. Archived from the original on November 15, 2011. Retrieved February 27, 2012. ^ "Commons Extensible Cryogenic Engine". Pratt & Whitney Rocketdyne. Archived from the original on March 4, 2012. Retrieved February 28, 2012. ^ "Common Extensible Cryogenic Engine - Aerojet Rocketdyne". www.rocket.com. Retrieved April 8, 2018. ^ "Cryogenic Propulsion Stage" (PDF). NASA. Retrieved October 11, 2014. ^ "Atlas-V with RL10C powered Centaur". forum.nasaspaceflight.com. Retrieved April 8, 2018. ^ "Evolution of Pratt & Whitney's cryogenic rocket engine RL-10". Archived from the original on March 3, 2016. Retrieved February 20, 2016. ^ a b c "Aerojet Rocketdyne RL10 Propulsion System" (PDF). Aerojet Rocketdyne. March 2019. ^ a b c d e f g h i "RL10B-2" (PDF). Pratt & Whitney Rocketdyne. 2009. Archived from the original (PDF) on March 26, 2012. Retrieved January 29, 2012. ^ Sutton, A. M.; Peery, S. D.; Minick, A. B. (January 1998). "50K expander cycle engine demonstration". AIP Conference Proceedings. 420: 1062–1065. doi:10.1063/1.54719. ^ a b c Roseberg, Zach (April 12, 2012). "NASA, US Air Force to study joint rocket engine". Flight Global. Retrieved June 1, 2012. ^ a b Newton, Kimberly (April 12, 2012). "NASA Partners With U.S. Air Force to Study Common Rocket Propulsion Challenges". NASA. ^ "Pratt & Whitney RL10A-1 Rocket Engine". New England Air Museum. Retrieved April 26, 2014. ^ a b "Photos of Rocket Engines". Historic Spacecraft. Retrieved April 26, 2014. ^ Colaguori, Nancy; Kidder, Bryan (November 3, 2006). "Pratt & Whitney Rocketdyne Donates Model of Legendary Rl10 Rocket Engine to Southern University" (Press release). Pratt & Whitney Rocketdyne. PR Newswire. Retrieved April 26, 2014. ^ "American Space Museum & Space Walk of Fame". www.facebook.com. Retrieved April 8, 2018. Wikimedia Commons has media related to RL10.